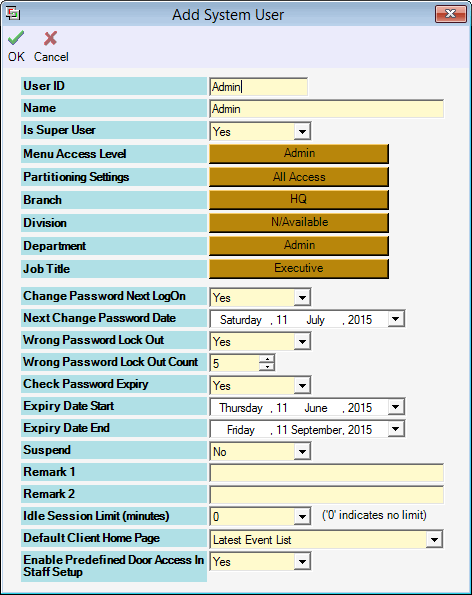 How to create xPortal software User ID? 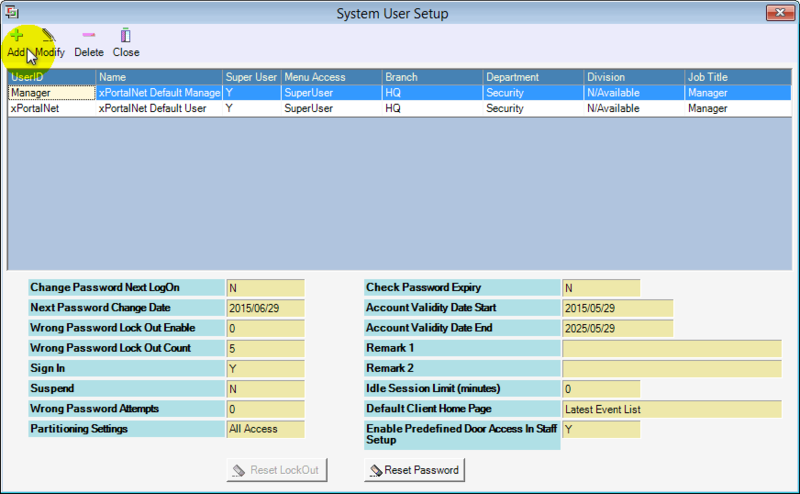 This article contains steps to create new User ID to access xPortal software. › Login with the correct default User ID. See What is default xPortal software User ID?. › Add new User ID from xPortal Server. Login to xPortal Server with the correct default User ID. Open System User Setup. Go to Server Admin › System User. Click Add button to add new System User. Fill up the new System User information. Set "Change Password Next LogOn" to Yes if you want to change the default password. Summary: This article contains steps to create new User ID to access xPortal software. What is default xPortal software User ID?